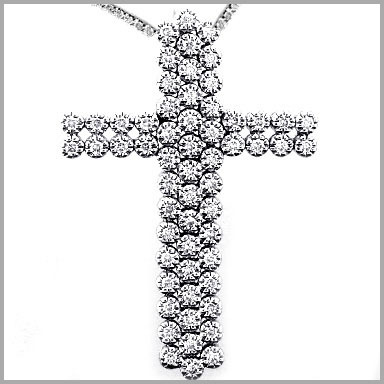 Wear your faith proudly with this glamorous cross pendant of high-class style! 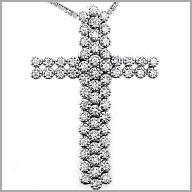 Crafted in your choice of polished 14K white gold, this cross pendant features 59 round cut diamonds in prong settings. The total diamond weight is approximately 1.239 ct with a color of H and clarity of SI.